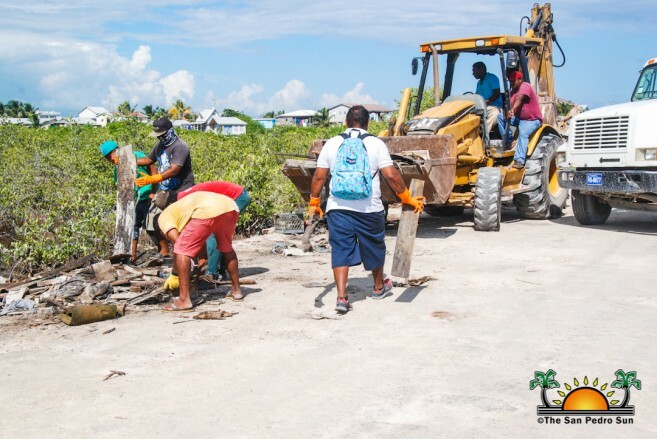 The San Pedro Chapter of the Belize Tourism Industry Association (SP BTIA) along with the American Crocodile Education Sanctuary (ACES) and the San Pedro Town Council (SPTC) held a huge clean-up campaign in San Pedro Town from Friday, November 9th to Monday, November 12th. 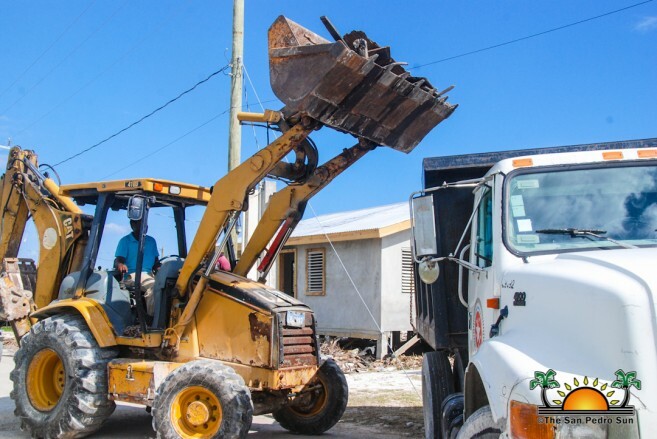 The improper disposal of garbage has long been an issue on Ambergris Caye. Illegal dumping has resulted in street sides littered with large items such as appliances and old furniture, polluting our water system, marring our natural beauty and threatening the health of our environment. 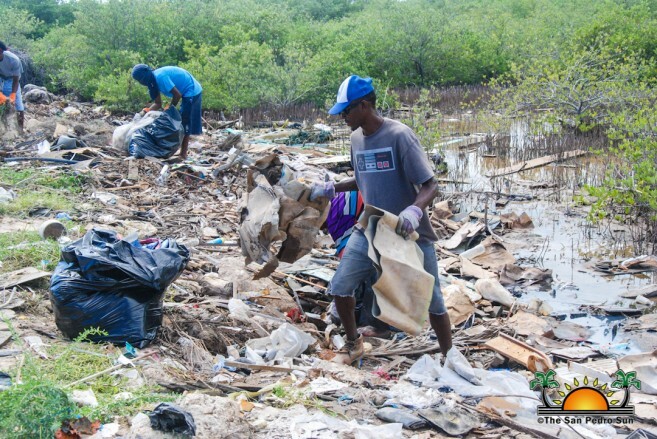 The goal of the SP BTIA four-day clean-up campaign was to pick up garbage from multiple locations in various neighborhoods, but due to the massive amounts of trash located in one area, the San Pedrito Highway, efforts focused on clearing the road of all trash. 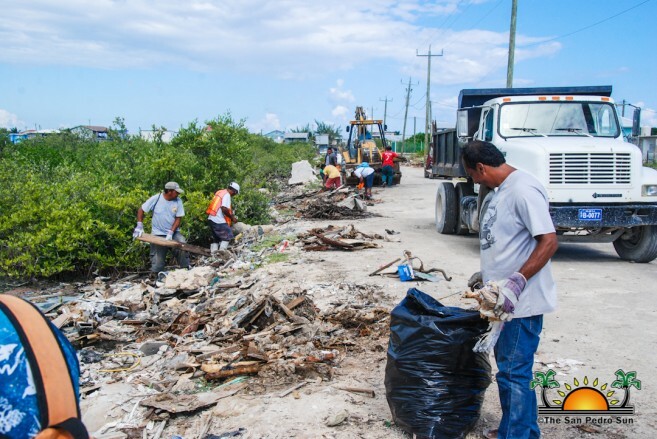 Throughout the four days, from 8AM to 4PM, there was an army of seriously dedicated and hardworking people along with multiple golf carts, trucks, trailers, backhoes and bulldozers, who pulled tons of trash from the San Pedrito Highway. Despite the combined efforts, tons of garbage remains along the road. 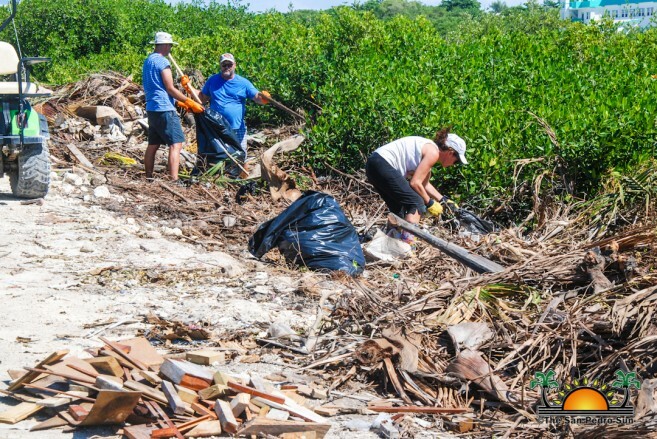 In addition to the San Pedrito Highway, other parts of the group managed to clean areas in Boca del Rio, while high school students from Collingwood School, Vancouver, British Columbia, Canada along with Belize Diving Adventures, Felipe Paz and Dave Wade tackled the Mosquito Coast park south of town. The garbage collected, contained old washing machines, dryers, golf cart parts, Styrofoam products, barrels, broken computers, refrigerators, rusty irons, grills, tires, glass, pipes, and wood. 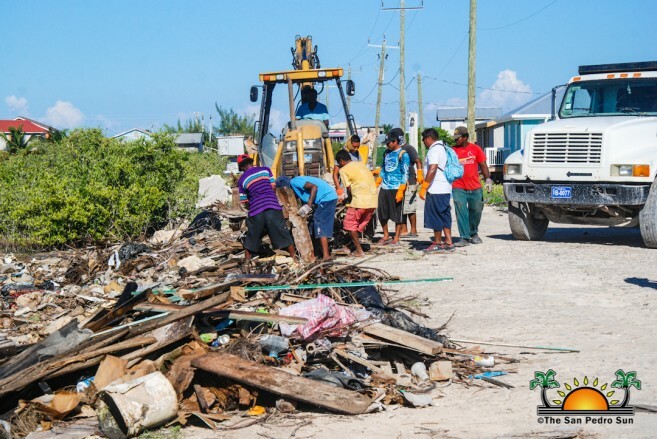 Over four days, more than 150 volunteers collected more than 900 bags of trash and 744 square yards of garbage with 151 vehicle/truckloads delivering to the Transfer Station, located south of Ambergris Caye. Via their social media account, ACES expressed frustration over the fact that the San Pedrito Highway is only two years old and is covered in endless amounts of garbage. 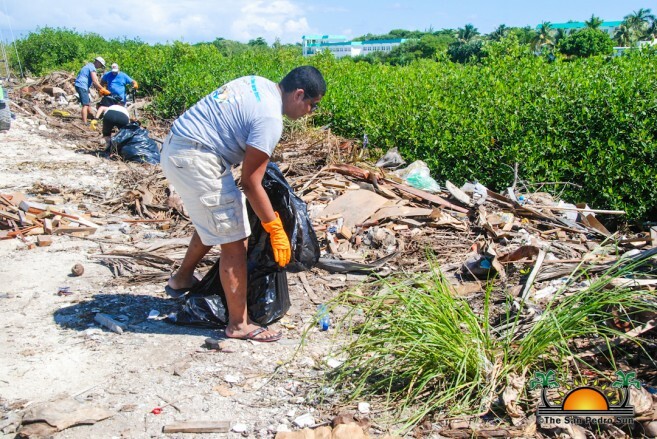 “We hope that we get to a point where these cleanups are not necessary because of the respect people have for the island, that the love that we have for where we live will not allow this level of pollution to exist ever again. We are very far from that. There is a lot of change that needs to happen before that can become a reality. 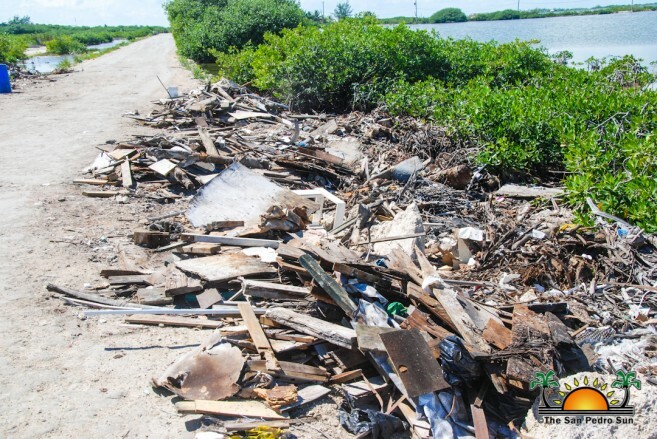 We challenge all of you, let’s make this be the turning point, let’s all as a community stand up together and put our foot down, no more of this ugly dumping on our island!,” stated ACES. 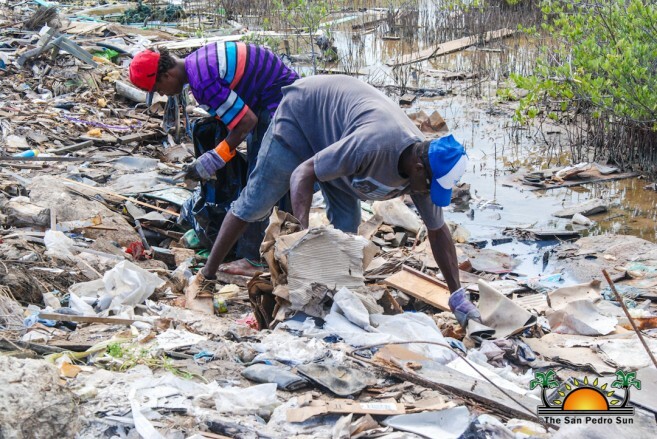 Island residents are asked to be vigilant and if they see anyone dumping garbage, to take photographs or report them to the relevant authorities. SP BTIA thanks the Belize Soild Waste Management Authority for waiving the fee at the Transfer Station during the campaing and the dozens of businesses, organizations, and individuals who donated money, food, supplies and manpower. They also encourage every person on the island to do their part in keeping La Isla Bonita…bonita.